If you are looking for Replacement Windows West Hollywood for your home, storefront, office building or elsewhere, you will want to look to Intex Windows & Doors to find something that will suit your needs. The products that are sold by our company are truly unique, and come from trusted brands in the industry such as Fleetwood and Jeld Wen. You will be in awe at the beauty of these doors, windows, and hardware that we have worked hard to gather into our catalog. The one major thing that these fixtures do have in common, is that they are made to be energy efficient. They have been designed according to the strict guidelines of ENERGY STAR, so you can depend on them to save you money on your energy bills. This is a big deal when you are running a business, or even just within your home, as every dollar counts. You can enjoy luxury of these amazing windows throughout the years, as they are quite durable. If there is anything wrong with them when they arrive, you can reach out to Intex and conduct an exchange or get a refund, as we have a full lifetime warranty built into every purchase of doors and windows. Though we will stand behind our technicians’ professional demeanors and the strength and durability of the fixtures, we understand that sometimes an issue will arise in which you will need to use the warranty. Our customer service team can help you with this matter, as well as any other concerns and questions you may have about the website, products, and even about what you will need to do before installation. In many of the areas surrounding Los Angeles, you will have to acquire a permit in order to have Replacement Windows In Los Angeles installed. We can help you by providing you with contact information, if it turns out it is necessary. Our doors and windows are beyond comparison, as we only sell the top name brands in the industry. You will be satisfied with any of these products you order, though you may decide that none of them are exactly right for your needs. If this is the case, you can talk to a representative about having something made custom to your wishes. You may need a unique size or shape for your window, or certain additions to your doors. Regardless of what it is that you want, you can rely on us to be there for you and go above and beyond your expectations. When you are certain of what it is you would like, contact Intex and you can go from there. In most instances, we will be able to help you bring your dream windows and doors into reality. All of these benefits, along with the products being reasonably priced, are what has made it possible for us to remain at the top of the home and commercial fixtures business for the last decade. We operate out of our headquarters in Glendale, but we do cover much of the greater Los Angeles area. In terms of our Replacement Windows West Hollywood, we are extremely proud of what we can offer to our customers year after year. Find out what has made them happy and want to keep coming back to us by reading the many testimonials that are on our site and in other spots throughout the Internet. Contact Intex Windows & Doors to begin by getting a free estimate today. Wouldn't you love to have some new windows that will complement what your currently have? Then you can look into what we have to offer here at Intex Windows & Doors. You can get your Replacement Windows West Hollywood that will fit the style of your house or commercial property, or go a different route for a nice change of pace. Regardless of what you end up choosing, it's a good idea to check in with a representative from Intex who can explain what the features and benefits are of each different series. You can purchase products from Jeld-Wen, Milard, Fleetwood and other leading brands in the industry. The one thing that these companies have in common is that everything is made with the utmost craftsmanship possible. You can enjoy high quality fixtures at a fraction of the price that many other companies are asking for comparable products, and get them all from one place. Look into what we carry by viewing the easy to use catalog that is separated by categories to make it easier to narrow down what you want. It's really that simple and stress-free to shop from the trusted commercial and residential door and window company, Intex. You will never have to be behind the times, and you can even talk to one of our specialists about the possibility of having a customization created for your needs. Want to find top notch Windows In Glendale? Then we are happy to assist you, as we have been assisting customers since 2003. As a company that is owned and run by a family, we are compassionate to the needs of families and have a personalized touch, though we do service a wide range of customers around Glendale and the surrounding areas. You need to know precisely what you are getting into in terms of replacing current windows and doors, including whether or not you need to sign up for a permit. This is necessary in Glendale, as well as some nearby towns and cities. We know all about this, and can tell you about the steps you have to take in order to be ready for installation. If any of these fixtures will be visible from the street, you definitely will need a permit for putting them in. You don't want to deal with the consequences of starting and then have someone from the zoning board pay you a visit and issue you a fine for this, so make sure that you have everything prepared beforehand. Otherwise, Intex professionals can offer you a great deal of help by answering questions and giving you a quote for the work that must be done on your remodeling or construction project. It is worthwhile to order Replacement Windows West Hollywood from a reputable company such as Intex. Excellent customer service is guaranteed, and you also will have a full lifetime warranty to make it an even sweeter deal. You can ask for them to be made to your exact specifications, and in most cases you will be able to get what you request. If you are interested in something that will keep your family cool during the hot months, energy efficient products are ideal. They are designed to fit the ENERGY STAR standards and will keep you extremely comfortable. These windows and doors are a definite good value for what you end up paying. If you want to keep from hearing music blaring from nearby and other loud noises, or protect others' from hearing noise from your building, you can have sound control windows installed. Other options include Style Line, Essence wood windows, slim frame vinyl fixtures and many others. There are products in our catalog that are suited to nearly everyone, making it so you don't have to run around shopping from different places. Intex is a company that has many satisfied customers, so you will want to see for yourself just how we can help you. 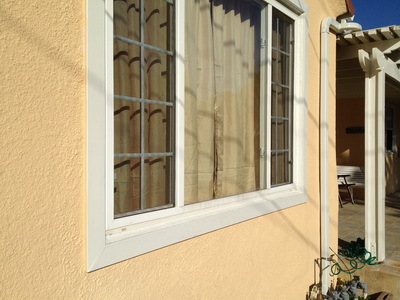 Do you require Replacement Windows West Hollywood to put in your place of business or home? Maybe you are in search of something that is just right for your storefront. At Intex Windows & Doors, we make it a point to only sell the highest quality products for your construction needs. Whether you are building a house or just want to have a new window or door installed in your commercial or residential building, we have got your needs covered. If you are looking to buy exterior doors such as ones for your patio, you can find several options in our catalog. We have got gorgeous Windows In Glendale to keep your energy costs down and display your unique tastes. No matter the style you want to display, we likely have a window Series that will match it well. We know that people can be particular about the types of doors and windows that they feature in their homes and even businesses, which is understandable. It is probably the first thing that most people will see when they visit or come to do business. You want to make sure that you leave a good impression and that your space, including doors and Replacement Windows West Hollywood, is a reflection of who you are. We want to help you get exactly the look and effect that you want. 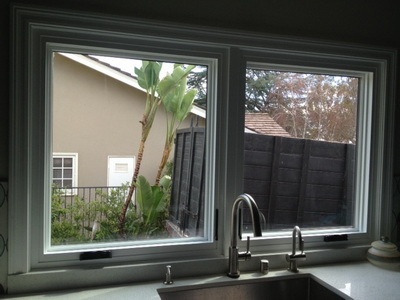 Choose between operable and non-operable Milgard Replacement Windows Encino from various Series. Call our customer service line and ask any questions you have so that you can place your order with any worries.